Nigel Fisher, MD of Yale and spokesperson for National Home Security Month, talks about the importance of good home security, how it’s evolving and how NHSM is helping to combat the increase in domestic burglaries. National Home Security Month hit the headlines over 220 times in 2017, resulting in a staggering 1.9 billion opportunities to see the campaign! 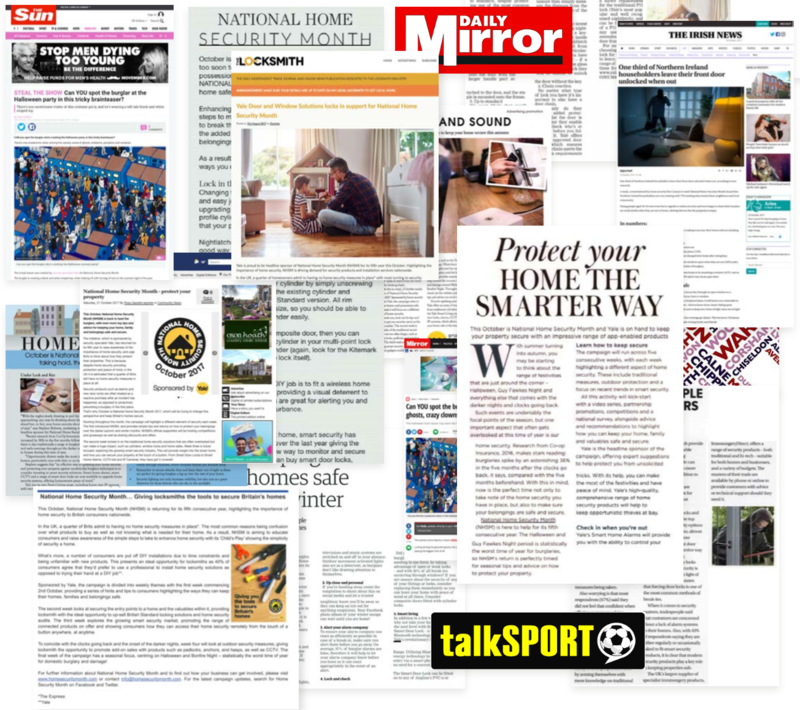 We gained coverage in national papers including, The Sun, The Daily Mirror and The Metro, as well as securing a radio reach of over 15 million. We also attracted fantastic support from the trade press with coverage in DIY Week, Builder Merchants Journal, Professional Builders Merchants, Professional Builder, The Locksmith and Keyways.